Just click the link below and you will be wisked away to Uber Eats Website. Now you can get our pizza (and anything else) delivered to you! 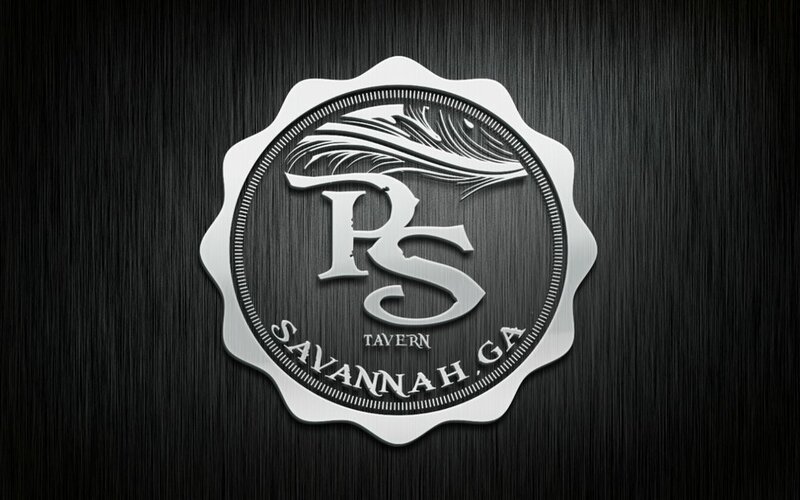 Located in the heart of historic Savannah, the PS Tavern offers up quality food choices, amazing signature drinks, wrapped into a fun and lively atmosphere. PS Tavern opened its doors in November of 2016. The owners, Paisley and Scot, wanted to create a comfortable, welcoming tavern that had a neighborhood feel. Despite being located in the heart of the historic district in Savannah, we feel that we have accomplished this goal. With plenty of tv's to catch a game, it's easy to see why PS Tavern is Savannah's home to the Green Bay Packer watch parties. We also host various college watch parties and US Soccer matches. The menu is born from the idea that people come to our place to share food. We have amazing pizza that is perfect for groups. Dough and sauce is made fresh, in house. The sharable menu is perfect for grabbing a quick snack with friends. Try some of the variety of dips. And PS Taverns wings are second to none! We offer 14 different rubs and sauces. Make sure you try one of the signature drinks while you visit as well. The Bloody Mary is considered one of the best in the city! The Cherry Lime-aid is so tasty and refreshing! There are different specials daily, so follow us on Facebook to keep up on daily specials and changes. Build your burger the way you want it! Our Mahi Mahi fish tacos are great anytime! A Cherry Lime-aid hits the spot on a hot Georgia day. Piled high and cooked just right! Toasted pretzels with just the right amount of salt. Served with a white queso for dipping. Delicious Calamari rings with banana peppers and hot cherry tomatoes. Delicious bites of white cheddar fried goodness. Chunks of dill pickles dipped and fried in our Yuengling beer batter. Large jalapenos suffed with buffalo chicken. Served with Ranch dressing for dippin. Large onion slices battered and fried. Topped with bacon and cheddar cheese. Fajita chicken, cheddar and jack cheese, and pico de gallo in a jalapeno flavored tortilla. Chips covered in our house made chili, queso, cheddar and jack cheese, lettuce, tomato and jalapenos. A pub classic. Served with celery, carrots, and tortilla chips. Choose one sauce or rub and one side. Choose two sauces or rubs and one side. Delicious pork and beef blend meatballs covered with our house made marinara sauce and a mound of mozzarella cheese. Slow cooked in house and mixed with delicious BBQ sauce. Pork shoulder bacon, fresh lettuce and tomato with our sriracha mayo on a hoagie. A Half Pound of Certified Angus Beef cooked up and served on a kaiser roll with lettuce, onion, and tomato. Add a variety of cheeses and toppings for .79 each. Our signature burger. Topped with pork shoulder bacon, and a fried egg. Maybe the best burger in Savannah! Large portions of grilled Mahi Mahi in tortillas with an asain slaw mix on top. Served with tortilla chips. Made the same as the Mahi, but with a delicious fried pollock instead. Delicious 'fall off the bone' ribs coated in our house BBQ sauce. Bring plenty of napkins! Large chicken tenders coated in our breading that has Cool Ranch Doritos included! Served with your choice of sides and a side of ranch. Yuengling beer battered Haddock fried to perfection and served with tartar sauce. Fresh chopped lettuce with a breaded and diced chicken tender and a generous portion of hard boiled egg, bacon, tomatoes, and a mix of jack and cheddar cheese. With your choice of dressing. Grilled chicken tossed in buffalo sauce atop fresh lettuce, tomatoes, and bleu cheese crumbles. A classic Caesar salad with grilled chicken, cherry tomatoes, and fresh romaine. Our dough is made fresh daily. And we make our sauce in house as well. Our Pizza is second to none. We also offer it by the slice! choose from a variety of classic and unique toppings to make your perfect pizza. Add .59 for small toppings and .99 per large topping. Ham and pineapple of course. But topped with pickled jalapenos for that added punch! BBQ sauce, pulled pork and mozzarella cheese. Mozzarella cheese topped with freshly grilled chicken coated in buffalo sauce. Topped with a ranch and buffalo sauce drizzle. Our house made white sauce with grilled chicken and plenty of Mozzarella, Feta and Parmesan cheese. Refried beans, mozzarella and cheddar cheese, chicken, lettuce, tomato, black olives and jalapenos. Then topped with a sour cream drizzle. Our delicious philly meat atop red sauce, mozzarella and white American Cheese. Topped with onions and green peppers. Choose up to 4 ingredients and have them stuffed into a calzone. Baked and coated with our white sauce for good measure. Made from our fresh made dough. Cut and baked with a light topping of our white sauce. Served with our marinara sauce for dipping. Pepperoni, sausage, ham, bacon, mushrooms, green peppers, tomatoes, and onions. 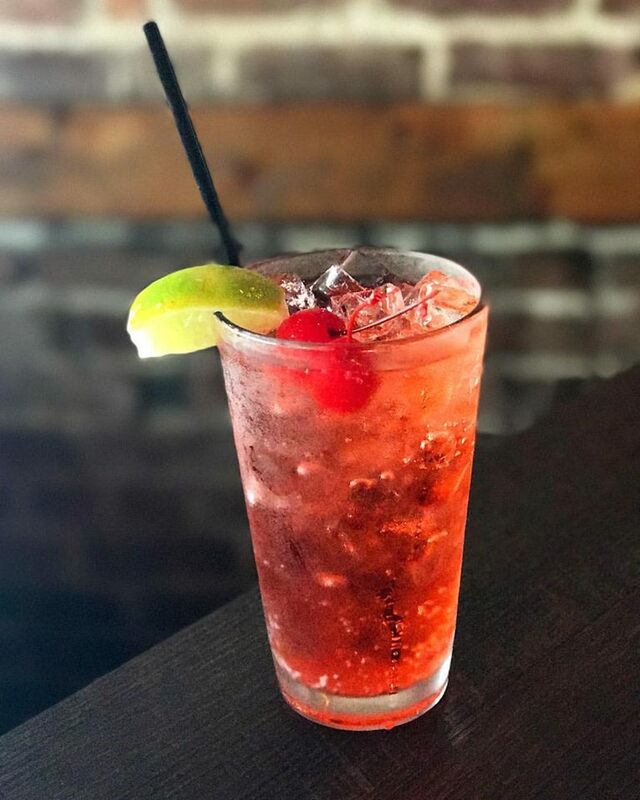 Grey Goose Cherry Noir, with simple syrup, grenadine, and fresh lime juice topped with soda. Captain Morgans rum, coconut rum, pineapple juice and fresh lime juice mixed with Blue Curacau. Our best Maragrita. Featuring Avion Silver Tequila, freshly squeezed lime juice, and a float of Grand Marnier. Made with Ketel One Vodka infused over time in a blend of peppers and topped with a meat and cheese skewer with a pickle. The Best bloody you will have in Savannah! Deep Eddy Lemon and Peach vodkas mixed with lemonade, muddled peaches and lemon wedges. Avion Espresso Tequila mixed with Irish Creme, Double Espresso coffee and soad water. A little pick me up with a real kick! Feel free to contact with any questions or concerns you might have. We love reviews. Look us up on Google, Yelp, or Trip Advisor. If you are interested in a private event or catering please fill out the information and we will be in touch as soon as possible.